Classic Camp Stoves Forum: This site is an online venue for collectors & users of vintage camp stoves such as those made by Primus, Optimus, Radius, Svea & Coleman. Gary’s Outdoor Blog Index: An excellent list of popular outdoor themed blogs. Canoe-Camping USA: Over 40 destinations for canoeing vacations throughout the United States. Pictures, descriptions, and information links. 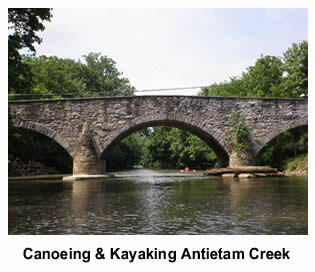 Eastern Paddling – Whitewater Paddling in Pennsylvania, Maryland and West Virginia. All About Rivers – the most valuable resource for anyone planning a kayak or rafting adventure with e-guidebook, streamflows, forums, and event calendar. The Virtual Library of Sport - It’s a library of sports, of course. Phillypaddler.com - A Philadelphia area paddlers resource. Pennsylvania Ski Equipment Sales - A local website advocating Pennsylvania’s finest ski resorts and trails. Emergency Food Supply – Suppliers of emergency and survival food products, and also bulk purchase for outdoor camping adventures.